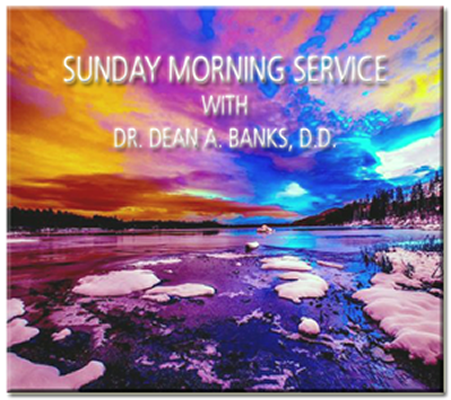 Welcome to our new Sunday Morning Service by Dr. Dean A. Banks, D.D. Every week Dr. Dean will be engaging subjects that are pertinent to your growth and expansion into recognition of; respect to; and communication with your inner spirit. Please feel free to comment or suggest topics for review. May the Divine always bless you and your families! ~Dean A. Banks, D.D. SUNDAY MORNING SERVICE WITH DR. DEAN A. BANKS, D.D. "HUMAN ASSETS AND NOT HUMAN RESOURCES"
During the course of our lives of working for others or ourselves we have come to know that it’s the people who make a business operate and offer products and/or services to the public and/or private sectors of the population. Without people, business would not be able to operate, survive and thrive. In corporate offices dealing with employees used to be under the moniker of the Personnel Department. As businesses grew and progressed corporate entities started identifying personnel as resources. Resources? Why would human beings be referred to as resources? Resources are “a source of supply, support, or aid, especially one that can be readily drawn upon when needed; raw materials that are a means of producing wealth; property or means of exchange that can be converted into capital; intangible means of someone’s personal capabilities” [dictionary.com]. In other words, resources are what we draw from in order to accomplish producing products or services that can be packaged and sold as a means to an end or a tangible commodity. In that sense, the term Human Resources looks at people as a means to an end and NOT as living, breathing and being assets to the growth and expansion of businesses’ charge of selling products and services. The term should be Human Assets more than Human Resources. HR is defined as “the personnel employed by a given company, institution, or the like” [dictionary.com]. In regard to the ‘human’ element of these terms, Human Assets would be “the [talents, skills and abilities of human beings] that are convertible into cash; the total ‘resources’ of persons [that contribute to the survival and growth of a] business; [to generate] cash, notes and accounts receivable as well as securities, inventories, goodwill, fixtures, machinery, or real estate (as opposed to liabilities)” [dictionary.com]. Human BeingS are more ‘assets’ to the growth and expansion of businesses than they are resources. Resources are more impersonal raw materials that contribute to the manufacturing and distribution of products and services while ‘assets’ are the ‘holdings’ of the converted resources into a profitable outcome. They are more ‘personal’ to the business than are the ‘resources’ of the business. This attitude of treating people as resources has led to the impersonal ‘employee reviews or evaluations’ that set a baseline of behaviors that are subjective to the whims of middle management; which, in most cases, is dependent upon unrealistic standards that compartmentalize human assets into impersonal resources. The dehumanization of people into ‘cogs in the wheel’ contributes to the vapidity and soullessness of all employees including management. In other words, by removing the personal element business has gained a foothold on the spirit and initiative of the employees and management to conform to their mostly unrealistic and impersonal expectations of behaviors AND results! This is primarily the reason for some people to leave the corporate world and start their own businesses to retrieve and amplify the personal element of doing business. This is why Customer Service Departments in many companies have no respect or caring for the needs of the customers; who are the very lifeblood of any successful business. Companies like Comcast are now running commercials about how they should fit into your life more than the other way around as if they just discovered this. I’m sorry, but this has been the reason that people have chosen to do business with one company over another for many years. This is NOT something new and innovative; it is a realization that has been driven by competition to ‘become’ a way of doing business in order to attain new customers and retain already established customers. In others words, an attempt at growing the bottom line of their companies by creating an ‘image’ of respecting the sensitivities of their customers more than actually doing something like adjusting their rates to be sensitive to their customers’ bottom lines. This action of ‘pulling the wool’ over their customers’ eyes is NOT meeting their needs effectively even though it ‘appears’ that they are. Don’t buy into this snow job of huge and successful corporations. As long as they treat Human Beings as ‘resources’ instead of ‘assets’, they are manipulating them and their customers to their own ends. We have all been blessed with individual talents, skills and abilities to contribute to the growth and expansion of everyone and we should never allow anyone to take advantage of our ‘assets’ to their own ends ONLY! Only when they utilize what we have to offer to contribute to ALL of us more than just their bottom lines will they be truly serving their customers with respectful services. Recognize their self-serving spin and call them out for what they are actually doing; trying to fit your square peg into a round hole that will cause you pain, discomfort and living in mediocrity. Be aware, be forthright; and be diligent to sharing what you have to offer and it being respected as an asset MORE than a resource. ~Dean A. Banks, D.D. ©2016 Dean A. Banks, D.D. All Rights Reserved. ***The preceding is an excerpt from an article, graphic or video title currently featured in The Spirituality Post: http://www.thespiritualitypost.com/. Please click on the previous link to continue reading the article or to watch the video. 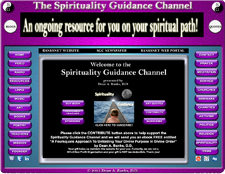 Click here for more details: http://www.thespiritualitypost.com/tspnotification.html. 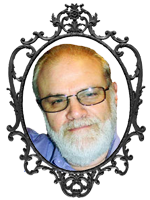 Please visit this link to "Patreon" and get onboard to help support The Spirituality Post Daily, Weekly and Spirituality Guidance Channel. Thank you for your support!